Rapid and accurate diagnosis of pregnancy complications that require acute care is frequently augmented by combining clinical assessment, medical history, and one or more quantitative human chorionic gonadotropin (hCG) results. 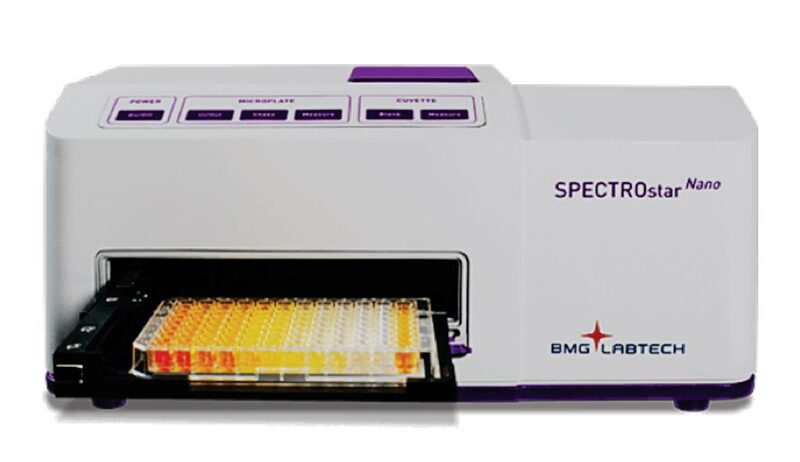 Many smaller suburban or rural hospitals have been unable to maintain an hCG assay on an automated, random-access immunoanalyzer in the laboratory. For one, the capital cost of such analyzers has been frequently prohibitive. Moreover, laboratories have not always had the space to accommodate such large analyzers and low testing volume has posed an additional challenge and has led to high overall cost-per-reportable test. 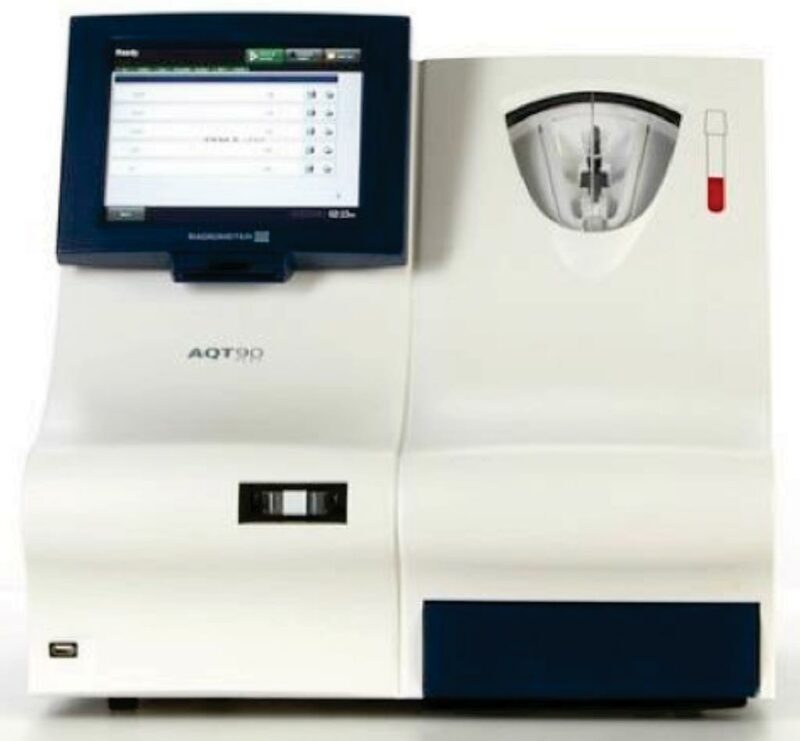 Image: The AQT90 FLEX bench-top immunoassay analyzer (Photo courtesy of Radiometer Medical). Medical Laboratory Scientists at the University of Alberta (Edmonton, AB, Canada) and their colleagues evaluated the analytical performance of the AQT90 hCG assay (Radiometer Medical ApS, Brønshøj, Denmark) and compared it to a point-of-care testing (POCT) assay and two central laboratory assays that are currently in clinical use in Edmonton, Canada. All patients whose samples were included in this study had had an hCG measured on them for clinical purposes. Precision was assessed using whole blood patient samples and two levels of quality control. Linearity was assessed by dilution of a high hCG plasma sample. Carryover and hook effect were assessed using high and low hCG samples. Thirty-six patient samples were compared between the AQT90 and the Abbott i-STAT Total βhCG (Chicago, IL, USA), the Beckman Coulter Total βhCG (Brea, CA, USA) and the Roche hCG+β assays (Basel, Switzerland). Sample concentrations ranged from <2 IU/L to 4,973 IU/L. The Radiometer AQT90 FLEX is a small benchtop immunoassay analyzer for use in the laboratory or at the patient bedside. The measurement principle of all AQT90 assays is based on an all-in-one dry-reagent concept. A test cartridge contains 16 reaction cups and is stable onboard the analyzer for 20 days. All required assay-specific reagents, including europium chelate-labeled tracer antibodies, biotinylated capture antibodies, and stabilizing reagents, are dry-coated into the reaction cups. The AQT90 hCG assay is intended for use as an aid in the early detection of pregnancy. It takes 18 minutes to complete, and its antibodies recognize both intact hCG and the free β subunit. The results of this study suggest that the AQT90 performs comparably, or even better, to some other POCT hCG assays available in Canada. The i-STAT assay, for example, demonstrated a clinically acceptable precision profile and excellent correlation with central laboratory hCG assays in two different studies. The analytical measurement range of the AQT90 also appears more suitable to the investigation of early pregnancy complications than that of the i-STAT. The authors concluded that overall, the AQT90 hCG assay performed well in their study, and the analytical data suggest that it would be suitable for use at smaller suburban or rural hospitals that are unable to maintain hCG assays on automated, random-access immunoanalyzers in the laboratory. The study was published on January 11, 2019, in the journal Practical Laboratory Medicine.